The Mid State Trail (MST) is a wild and outstanding 312-mile (500+ Km) trail that cuts through the heart of Pennsylvania. The main trail leads from the southern border of Maryland clear through to the northern border of New York. The MST is a rocky, bumpy, dry, and wonderful route designed by Tom Thwaites. The trail is signed as and uses the metric system rather than english miles. Along the way, multiple side trails offer options for hikers of all abilities. This trail also acts as a large segment of the Great Eastern Trail, which is a long distance hiking alternative route to the Appalachian Trail. Mid State Trail is maintained by DCNR along with volunteers from the Mid State Trail Association. 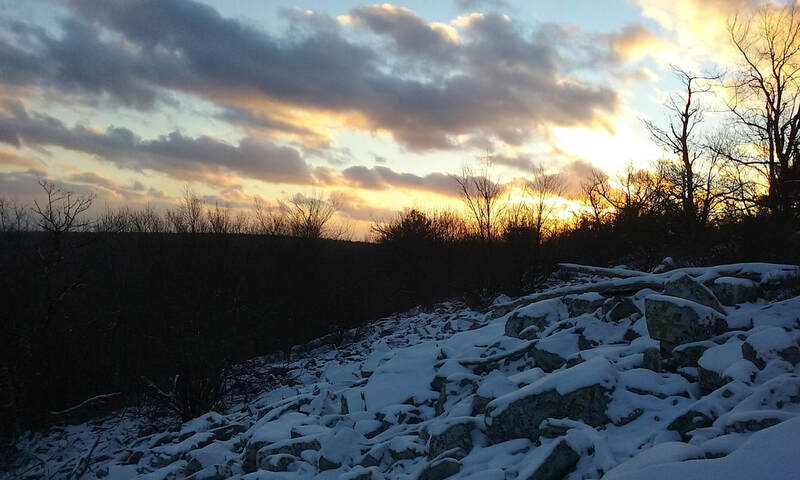 The southern section of the MST runs along top of rocky ridgelines, cuts across a few forests, and meanders through a few towns in Southern PA. Right now, the trail does go through a lot of private property and state gamelands, which have limited camping opportunities. 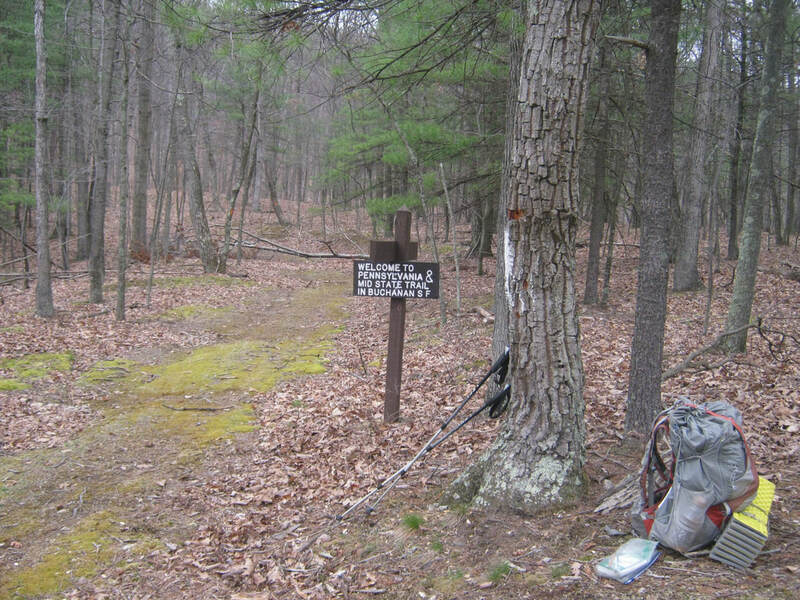 The sections of trail leading through state forests is generally open to camping. Trail shelters are slowly popping up throughout the whole length of the MST, which is great news for those looking to travel without a heavy shelter. 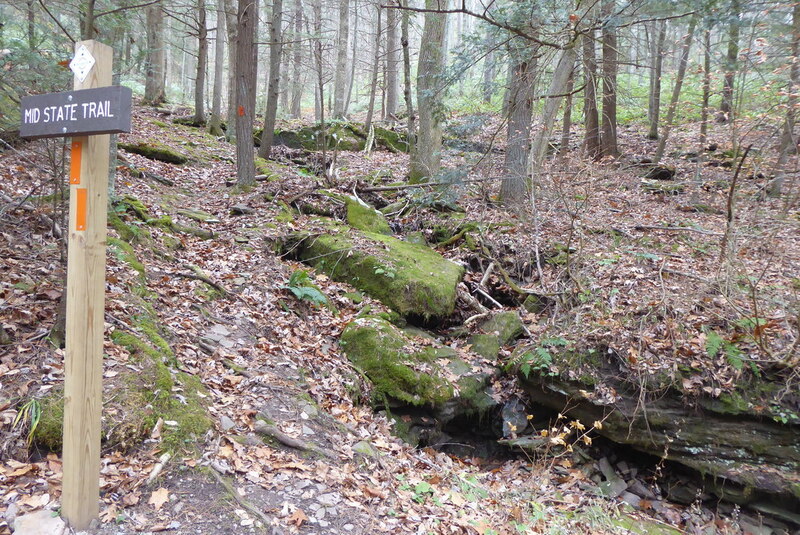 The central section of trail is just about as rocky as could be. 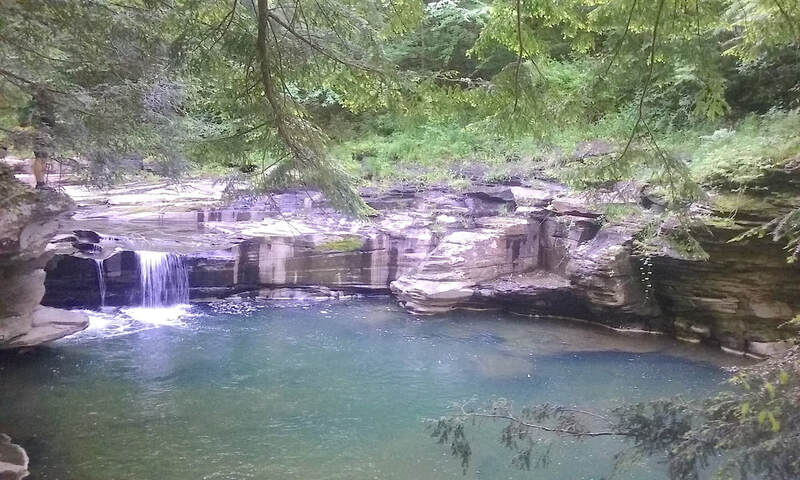 Luckily, the trail mainly runs through Rothrock and Bald Eagle State Forests, both of which offer outstanding vistas and back country campsites. Generally, the MST is still following a single ridgeline, although it does begin to climb up and over several ridges north of Hairy Johns Picnic Area. As noted earlier, the Mid State Trail is maintained by Mid State Trail Association and its many volunteers. Contact MSTA today to get involved with this great trail! 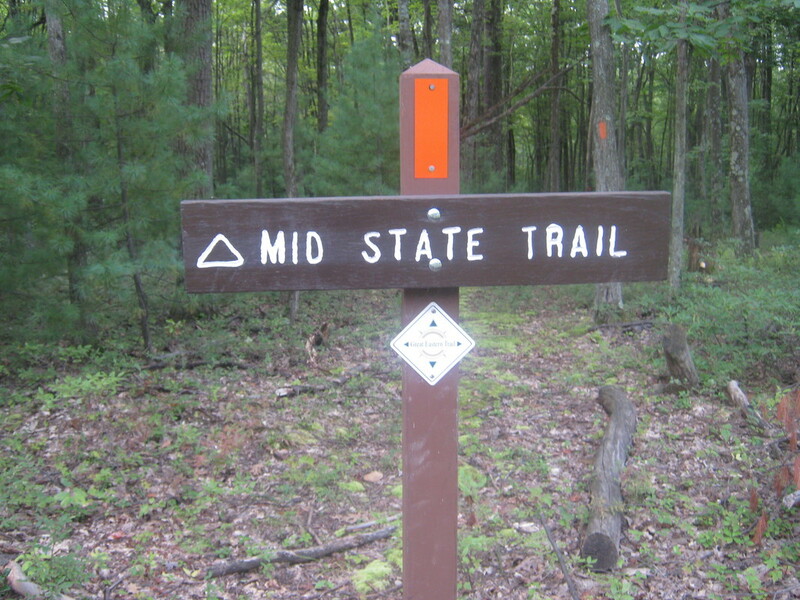 Find hundreds of miles of the Mid State Trail on multiple maps produced by Purple Lizard Maps!